If you’ve recently been involved in an auto accident, you may be experiencing more frequent and/or more severe headaches than prior to the accident. In fact, about 90% of of auto accident injury victims report some level of headache following their accident. While the symptoms following an auto accident vary on a case-by-case basis, there is one type of headaches in particular that is most common. The type of headaches that are most common after an auto accident are cervicogenic headaches. The word “cervicogenic” means originating in the neck. To that end, a cervicogenic headache occurs when nerves in the neck become irritated. The nerves can be injured as a result of the accident or the accident may have been involved in bringing forth a previously benign but pre-existing condition. 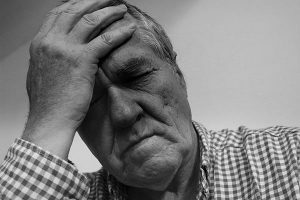 Headaches following an auto accident could also be the result of a larger problem, such as a traumatic brain injury caused by a high-speed collision or a strike to the head during the accident. While these types of injuries are less common than injuries to the neck and spine, they do occur and can be very severe. Even mild brain injuries can have long-term effects on your overall health and need to be addressed immediately. Chiropractic is a proven and effective treatment for headache pains. A 2001 research report from Duke University stated that “spinal manipulation resulted in almost immediate improvement for those headaches that originate in the neck, and had significantly fewer side effects and longer-lasting relief of tension-type headache than commonly prescribed medications.” In addition to performing spinal manipulation or chiropractic adjustments to alleviate stress on the back and neck, chiropractors can also recommend posture changes, nutritional changes, exercises, and relaxation techniques. All of these actions can relieve irritation and tension in the back and neck, thus reducing the severity and frequency of headaches. If you have recently been involved in a auto accident or simply have been suffering from headaches, Advanced Chiropractic & Rehab may be able to help. Give us a call at (330) 726-7404 to set up a consultation and we’ll see what we can do to help you improve your daily quality of life. We have been servicing the Youngstown and Mahoning Valley area since 2001 with convenient locations in Boardman, Hubbard and Kinsman. At Advanced Chiropractic & Rehab we are a multi-disciplinary rehabilitation group that treats work comp injuries, whiplash, sports injuries and specializes in much more than just low back pain.